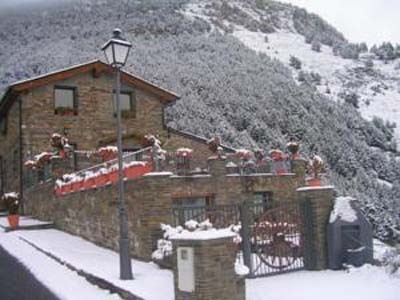 Discover the Iglesia de Sant Cerni de Nagol Church in Sant Julià de Lòria, Andorra. 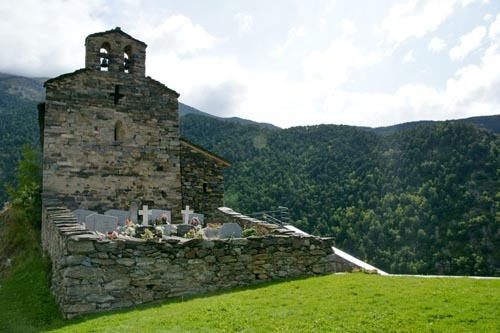 The Iglesia de Sant Cerni de Nagol Church is located on a quiet spot, surrounded by beautiful valleys, in the town of Nagol, in Sant Julià de Lòria, Andorra. 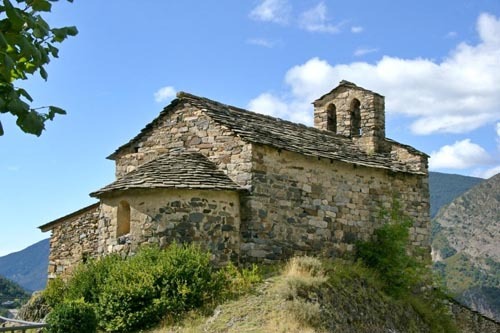 The Iglesia de Sant Cerni de Nagol Church is one of the most impressive Romanesque churches in the Pyrenees. The church was built in 1055, and it is incredibly located on top of Sant Julià de Lòria, an unforgettable environment due to its beauty and calm, from where you’ll enjoy of great panoramic views. 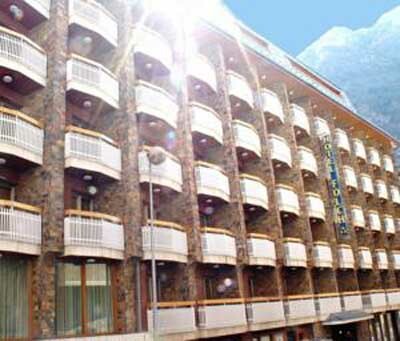 Its small construction respects the typical construction of Romanesque churches in Andorra. It has a rectangular wooden roof and a semicircular apse. The construction also has a double opening bell gable tower and a modern arcade. 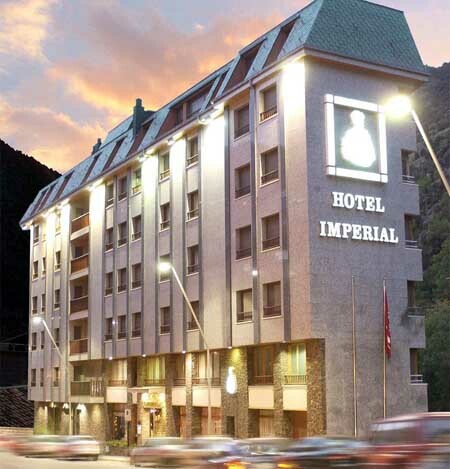 On its interior you’ll find the first pictorial sketches from the Romanesque in Andorra, which are impressive due to its religious, primary, and expressive character. The paintings represent several angelic silhouettes adorning the Agnus Dei. They are surrounded by important iconographies symbolising Good and Evil. From its religious furniture stand out the Cruz Espinosa Procesional, nowaday placed in the Andorra Románica Interpretation Centre; and the reredo dedicated to the patron saint of the church with the anagrams of Christ and the Virgin (15th century ). 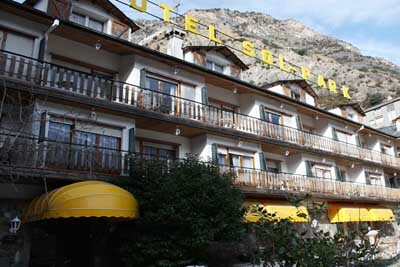 Sant Cerni de Nagol, Nagol, Sant Julià de Lòria, Andorra. From Mondays to Sundays from 10:00 to 13:00 and from 16:00 to 18:00. Guided tours when booking in advance.